Learn MoreThe New Manufacturers of The Future program provides Schools & Teachers with CAD/CAM CNC Programming software and training solutions that accelerate learning Computer Aided Technologies. Find out more today! Learn MoreThe BobCAD-CAM Manufacturers of The Future program sponsors UMSATS with CAD/CAM CNC Programming software and training solutions that accelerate learning Computer Aided Technologies. Find out more today! Learn MoreThe Manufacturers of The Future program now includes a Student Work-Ready program that ensures graduating students enter their new manufacturing workforce with the CAD/CAM software they need to be a success! Learn more today! Learn MoreThe Manufacturers of The Future program is helping education programs across the globe! Join Today! Start The Manufacturers of the Future Program Today! Computer Aided Design & Manufacturing software provides the programming automation necessary to innovate and deliver products to market faster and easier than ever before. 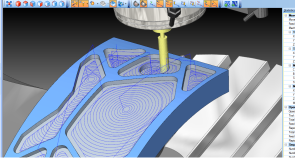 Discover ways to improve your CNC productivity with CAD/CAM software today! The Manufacturers of The Future program is a mutli-dynamic solution that includes CAD/CAM technology, Training Materials and services that make teaching CNC programming simple. Educators are never left behind with this new program. Learn more about what Manufacturers of The Future can do for you. 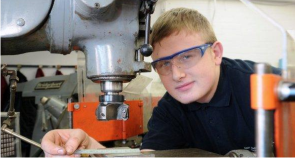 The Manufacturers of The Future program expands to the student "Work-Ready" program. 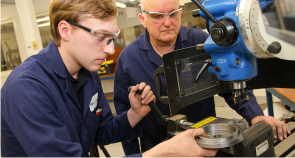 As students graduate and enter their new manufacturing workforce, we ensure that they do so with the latest BobCAD-CAM software that they used to learn their trade. Learn more today! Connect with fellow students on the manufacturing career path to discuss industry news, ask questions, and share innovative ideas. Join your fellow educators to share and discuss manufacturing curriculums, project ideas, industry news, and academic/career opportunities.